Summer ’13 series which was composed based on the wearable art concept was designed by the artist Ezgi Turan, and was adapted to fabric. 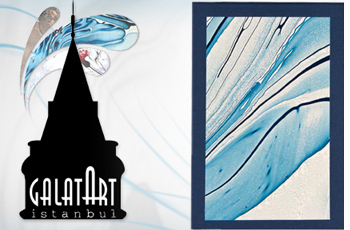 Marbling art which is obtained by means of sprinkling thinned paint on dense water, is a branch of the Traditional Turkish Art. Due to being a traditional art, the patterns and techniques used were previously determined. 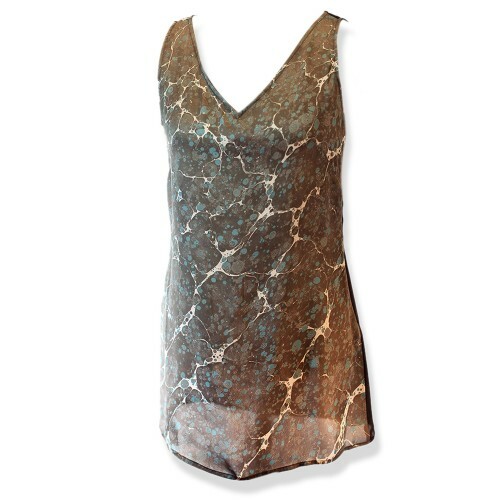 These garments - which are formed by transferring the pattern created on water directly to the surface of clothes - are unique, by nature of the marbling art. Among the marbling art forms used in the series “From Tradition” are large-scale marbling, tidal marbling, splayed marbling, scarf marbling and prophyritic marbling techniques. Combining these patterns with fabric brings an innovation to this tradition, however, as for the patterns, traditional approach is maintained. Additionally, in this series, traditional approach was maintained in terms of choosing the colors and brownish color tones were preferred. 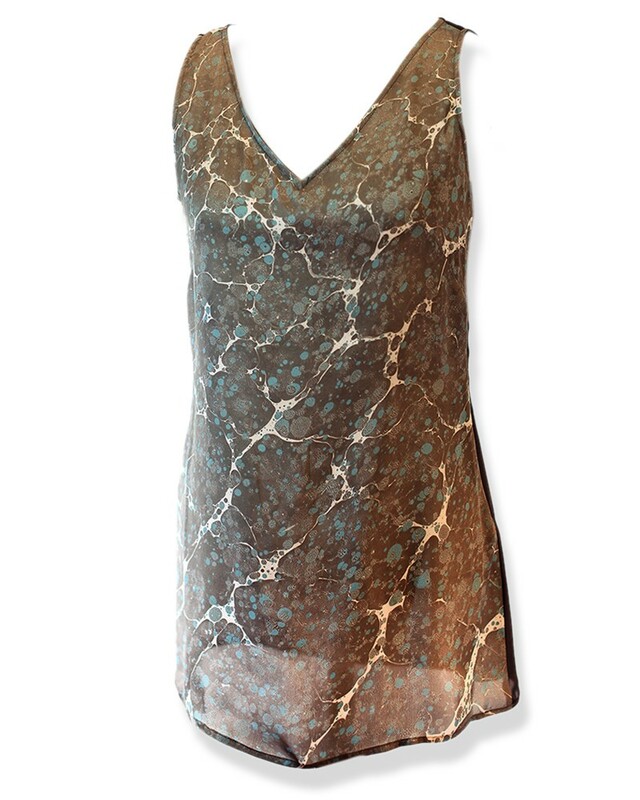 Material: tunic with water marbling application on satin fabric, at the back of which grey satin was used.